The range is a step back in time with an eye on the future. 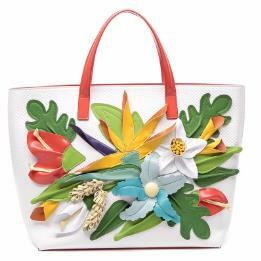 Taking inspiration from its archives, the brand revives the material that made its name: woven Florentine straw. Making an updated appearance in soft, elegant styles crafted in smooth, matt calfskin and embellished with brightly coloured leather tassels and chain shoulder straps. 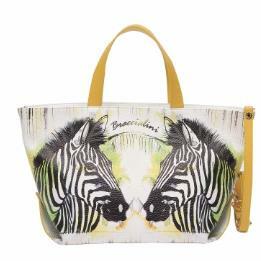 A range crafted in neoprene featuring brightly coloured prints devoted to Braccialini's most successful THEMES. Lightweight, practical and waterproof. Innovative designs to suit any occasion. Coloured handles and trim details. 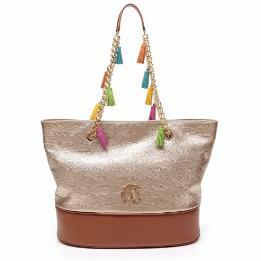 Shown here the open shopper with large zipped inside accessory pouch. 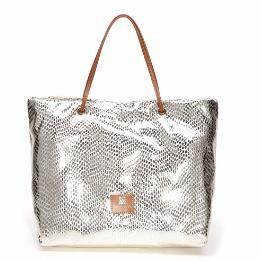 A range of super soft, unlined bags in metallic snake-print leather with shoulder straps and leather details. 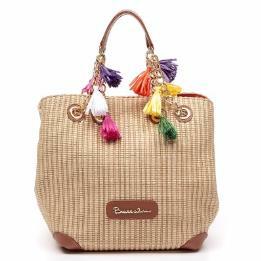 Shown here the large, super soft shopper with shoulder strap and zip fastening. 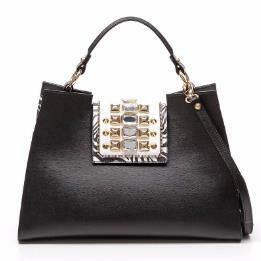 A triumph of 90s fashion, sequins return in all their glory to add some sparkle craziness to simple designs. The super fun range features chilli peppers, hearts, clouds and rockets ready to lift-off into space. 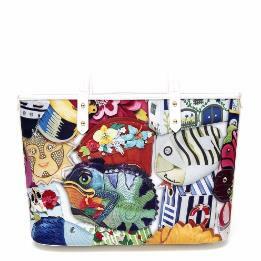 In a loud, pop style, the SS16 Picture Postcard range is an explosion of colour. 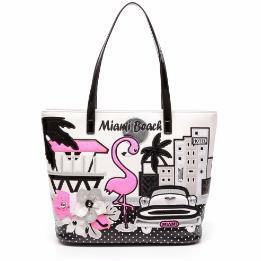 Miami and its landmarks are the star of the shopper that's perfect for a super glamorous look.